Gold is money that maintains its purchasing power, and for this reason it should be viewed as insurance against financial calamity and a hedge in case of economic collapse. During the previous six months, it had been widely anticipated that Professor Bernanke planned to engage in this third round of quantitative easing. In the various instances when he did not, gold precipitously dropped $50 or more immediately after his speech. 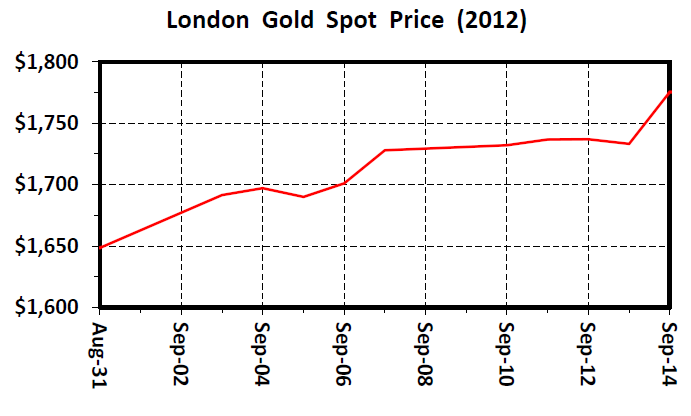 Despite mainstream media‘s promulgation of the idea, gold's inexorable increase in price does not represent a bubble. 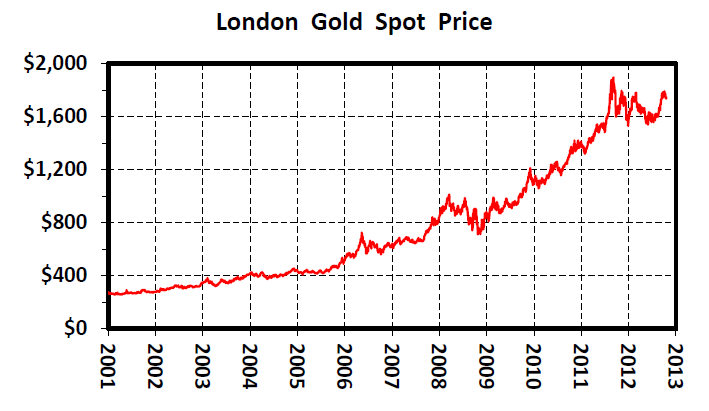 The gold price has steadily increased in every major currency over the last 11 years, and it is now all but certain the metal will end 2012 higher than it was at year’s end 2011. Precious metals pundits have predicted this performance for several years now; it seems a veritable no-brainer.